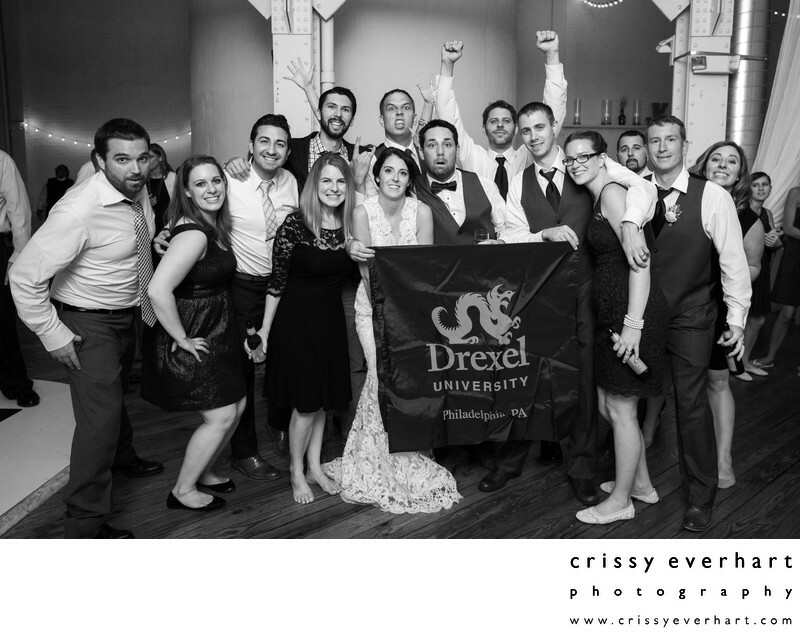 These Drexel University grads pose for a group photo at a September wedding at Power Plant Productions in Philadelphia's Olde City region. They hold a blue flag with "Drexel University Philadelphia, PA" in yellow letters. The groom makes a goofy face as the Drexel crew huddles together for a photo!